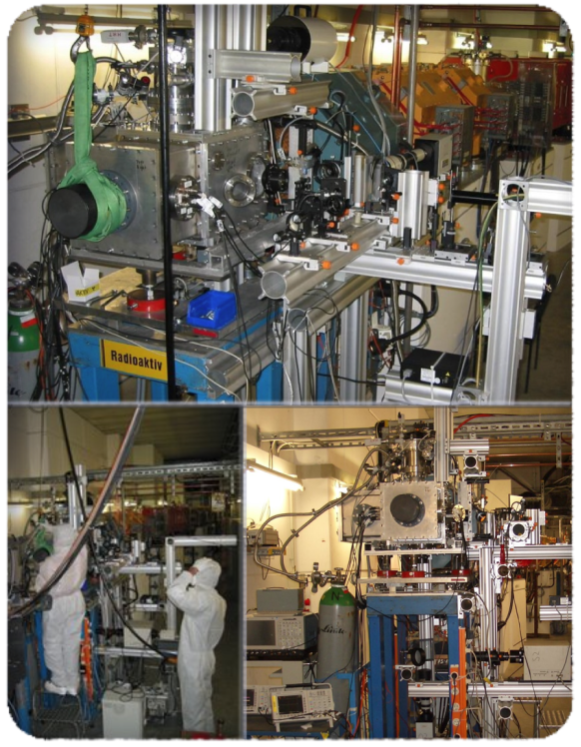 HHT (High energy, High Temperature) is a unique experimental area at GSI designed for High Energy Density Physics (HEDP) experiments with intense ion beams delivered by SIS-18 heavy ion synchrotron. The HHT beam line is equipped with a strong Final Focus System which allows to focus intense beams of various ion species up to Uranium with ion energy 50 - 1000 MeV/u to a spot size of 0.15 - 2.5 mm diameter. The pulse duration is 100 - 1400 ns and different pulse time shapes are available (single bunch, four bunches, flat top). Typically, for HEDP and for so-called warm dense matter (WDM) experiments a beam of 238U73+ ions with the energy 300-400 MeV/u is used. 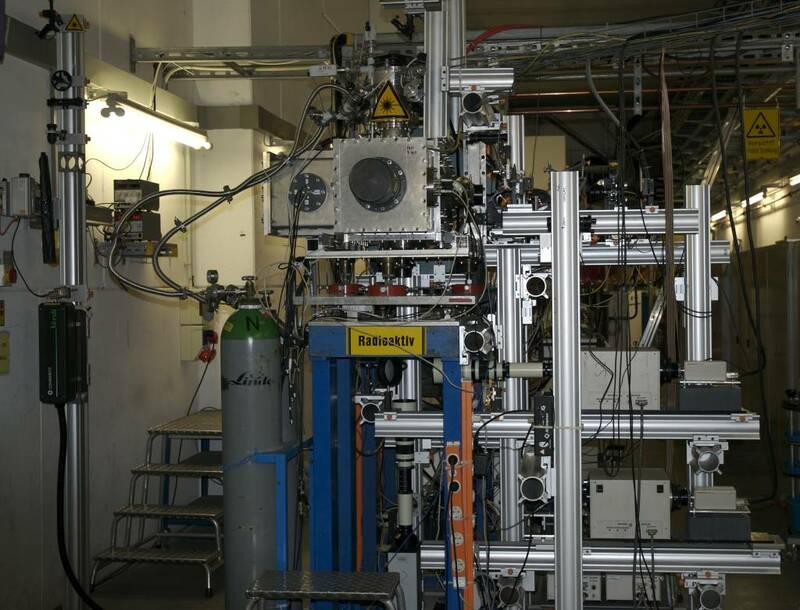 Presently, up to 4·109 ions is delivered by the SIS-18 synchrotron in 70 - 300 ns long bunches. Taking full advantage of the electron cooler of SIS-18, such intense uranium beams can be focused to a spot of less than 300 µm (FWHM) at the target. Assuming a solid metallic target, the specific energy deposition in the target material is from a few kJ/g to ~ 50 kJ/g. This correspond to temperatures of 1-10 eV and pressures in the multi-kbar to sub-Mbar range incuced in a solid density sample with mm²-size. The parameters of the ion beam available at HHT are given in the table above. Current and foreseen parameters of the ion beam available at HHT. 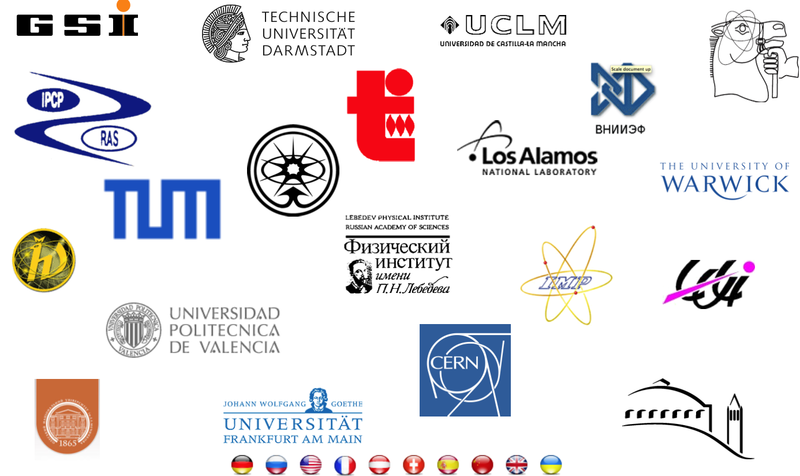 There are over 20 laboratories and universities from 10 countries that are currently using the HHT area through different experimental collaborations.